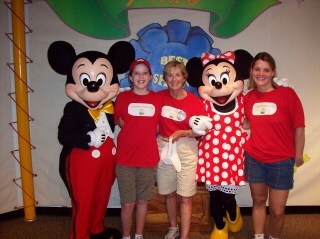 I have never met a bigger Walt Disney World fan than my mother, Peggy Kostelnik. Our entire family celebrated my mom’s 60th birthday on thegrounds in 1999. At the appointed time, I met my sisters and brother at the base of Splash Mountain. “Where is she?” asked my brother. I pointed to the ride. We heard a loud Yahoo! and turned just in time to see Mom and my three children Charlie, Katherine and Vinnie come splashing down the mountain. It is not enough for my mom to celebrate her birthday at Disney World. She has to be the first person down Splash Mountain every year on her birthday. Molly and I have been fortunate to celebrate some of those milestone birthdays with her. We set a record in 2009 when Molly, my mom, and my sisterKathy celebrated Grandma Peggy’s 70th birthday by being the first group down Splash Mountain two mornings in a row. 1) Wear comfortable shoes. The gates to the park will open and you will follow directly on the heels of the Disney guard as he briskly walks you through the park. Here’s the trick: when he guides everyone else straight ahead to the castle, you will quickly duck to the left and sprint through Adventureland straight to Frontierland. You may want to train for this part prior to your trip because Grandma sets the pace and she doesn’t even turn her head to see whose following. 2) Bring a rain coat. We’ve have conquered Splash Mountainin all kinds of weather, most memorably in 2006 when the temperature hovered around freezing, which pleased my mom greatly. No lines. The thing about riding the first log down Splash Mountain is you will be wet the rest of the day if you don’t dress properly. 3) Do not under any circumstances let your mother know that you have never ridden Space Mountain. She will shake her head in disgust and march you right over to Tomorrowland. This happened to me five years ago and, after I obediently rode that terrifying ride all by myself, I emerged to find myself abandoned. They had all jumped into the Disney Parade; Molly actually rode one of the princess floats. in an extra ride prior to meeting up with us. In 2009 we earned this photo two mornings in a row. back at the castle. Suckers. 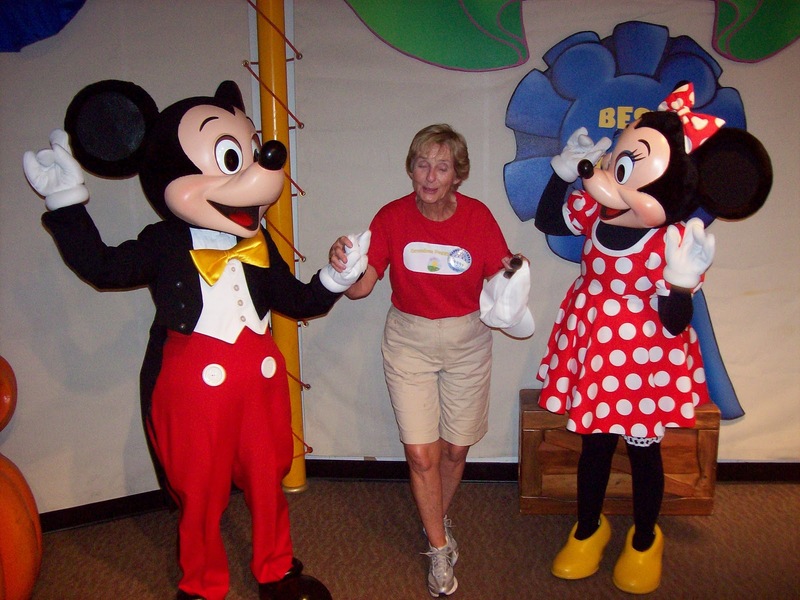 and Minnie wish her a Happy Birthday…. …but I can tell you she danced. Peggy is 60! Grandma Peggy is 60!” Molly’s got a good grip on Vince’s hair.